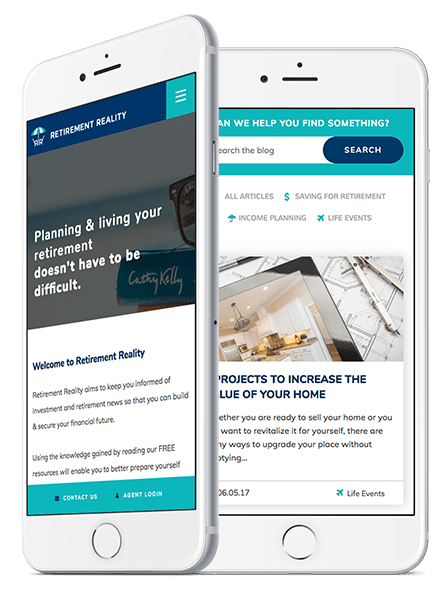 Retirement Reality came to ManoByte in a desperate search to get their newly-designed website launched and functioning correctly. They needed the website to function as an all-in-one resource for the latest news and information about anything and everything retirement. The website also needed to function as a platform for other agents to be able to sign-up to become part of this retirement reality platform. Realizing that their previous agency couldn't meet the needs of their company, Retirement Reality came to ManoByte. We were able to create a new website on the HubSpot platform that exceeded their expectations. We did this through a combination of specialized HubSpot development and with use of the HubSpot database. Now, they are able to accommodate hundreds of agents within their new database as well as collect multiple fields of new agent information. The site does all of this while also providing the latest retirement information to all types of users.